The Arapaho-Roosevelt National Forest is located in north central Colorado. The forest encompasses 1.3 million acres and extend north to the Wyoming border, south of Interstate 70 to Mount Evans, and west across the Continental Divide to the Williams Fork area. The forest is headquartered in Fort Collins, with district offices in Boulder, Fort Collins, Idaho Springs, and Granby. This national forest sees millions of visitors each year and is among the most popular national forests in America. Theodore Roosevelt established the Arapaho National Forest on July 1, 1908. He named it after the Native American tribe that used to occupy the region for summer hunting. The Roosevelt National Forest, originally part of the Medicine Bow Forest Reserve, was first named the Colorado National Forest in 1910. In 1932, President Herbert Hoover renamed the forest to honor President Theodore Roosevelt. 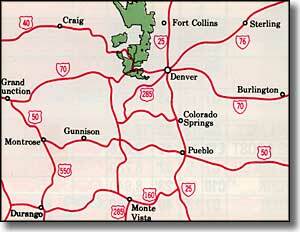 1906 - The Colorado Division of Medicine Bow was established, with the supervisor based in Fort Collins. 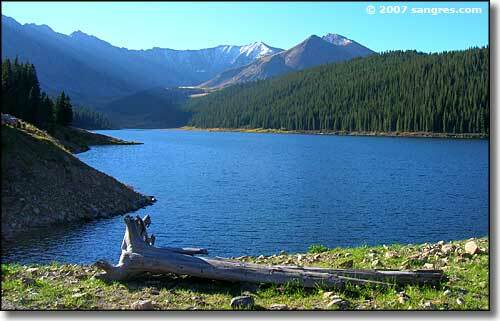 1927 - The road to Mount Evans, near Idaho Springs, was completed. 1937 - Berthoud Pass and Loveland Ski Areas opened. 1940 - Winter Park Ski Area opened. 1962 - Eldora Mountain Ski Area opened. 1978 - Arapaho National Recreation Area designated. 2000 - Bobcat Fire, largest fire on the Arapaho-Roosevelt National Forest, burned. 2001 - Roosevelt Hot Shots start on the Arapaho-Roosevelt National Forest as part of the National Fire Plan. Small map at upper right courtesy of the National Forest Service.